Ramadan 2009/1430. Nous vous l’annoncions avec une petite semaine d’avance (Ramadan 2009 : Nokia remet ça). Nokia vient de publier le communiqué de presse annonçant le lancement de la campagne Ramadan 2009. Dubai, United Arab Emirates, August 11th 2009 – Nokia announced that its Ramadan applications for 2009 have now become available on Ovi Store. The updated free mobile applications tailored for the Holy Month of Ramadan can now be downloaded on the compatible Nokia devices directly from Nokia’s Ovi Store. “Last year’s applications were very well received, as we saw over 2.4 million Ramadan applications downloaded. And based on the feedback we have received from Nokia consumers, we have further enhanced the offering this year to include additional applications as well as upgrades to some of the existing features. The applications this year also support a wider range of devices, to include both touch and non-touch Nokia devices,” said Chris Braam, Vice President, Sales, Nokia Middle East and Africa. Users can launch Ovi Store from the Download! folder on the main menu on their Nokia device or access nokia.com/Ramadan on the PC. This year’s Ramadan applications are feature packed, and include the Holy Quran, Prayer Times, Hadeeth, Zakah Calculator, Mozzaker, Hajj and Umrah and Cards. New features include Quran recitation from multiple recitors, which users can choose to download based on their preference and in MP3 form. 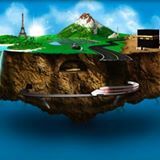 Prayer timings and Qibla direction are provided for 1000 cities in 200 countries, along with the ability to add, remove, update and edit any location using the GPS. The new Zakah Calculator helps Muslims calculate Zakah based on their income. Nous n’avons pas réussi à télécharger les applications ramadan sur la plateforme OVI. Si l’un(e) d’entre vous y arrive qu’il nous montre la procédure à suivre. Merci. Step 1: Click on download to launch the Ovi Store. Step 2: Register for an Ovi account or sign in. Step 3: Click on the link in the SMS sent to your Nokia. Step 4: Follow the link to complete the download. Ca, c’est ok. Mais après ? Elles sont où les applications dans OVI ? certes, mais où est-ce qu’elles se trouvent ces applications ? ensuite utliser un fichier de decompression winrar et le tour est joué plus qu’a installer!! !